A gift to Sacred Heart will have long-lasting benefit for students, who diligently pursue a Catholic education, and for parents who sacrifice so much for their child to experience a Catholic environment like Sacred Heart. There is NO SUBSTITUTE for Catholic Education! Endowment - Sacred Heart has a healthy endowment fund that supplements school revenues each year! Tuition alone does not cover the cost of educating our students. Interest earned on the invested funds is used for support. This is a giving opportunity that keeps on giving in perpetuity! Adopt-a-Student - Provides families assistance with tuition cost! You may make a general donation to this fund or sponsor a specific student or family. Special Capital Projects - The school is always looking to upgrade and maintain the physical facility and stay up to date on technological needs of our students. Ask about our capital needs for the current year. 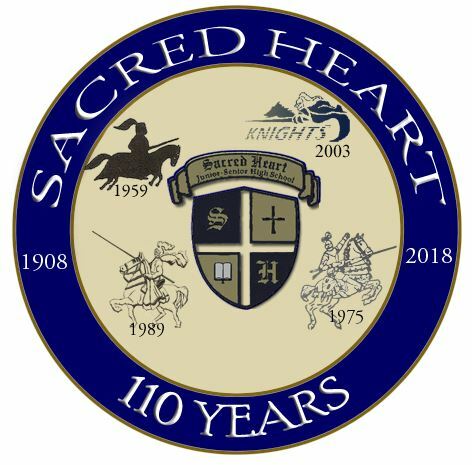 The Sacred Heart Legacy Society was established in 2017 to recognize the generosity of individuals and families who have made a gift to benefit the future of Sacred Heart Jr. Sr. High School. Become a member of the Legacy Society by contributing to one of the above funds. Thank you for your generosity that allows us to continue our shared mission. If you have any questions about this gift, please contact Melissa Anderson at 785-825-4011. You may also explore other ways to give. *This link offers a form to print and submit an item donation to our event.